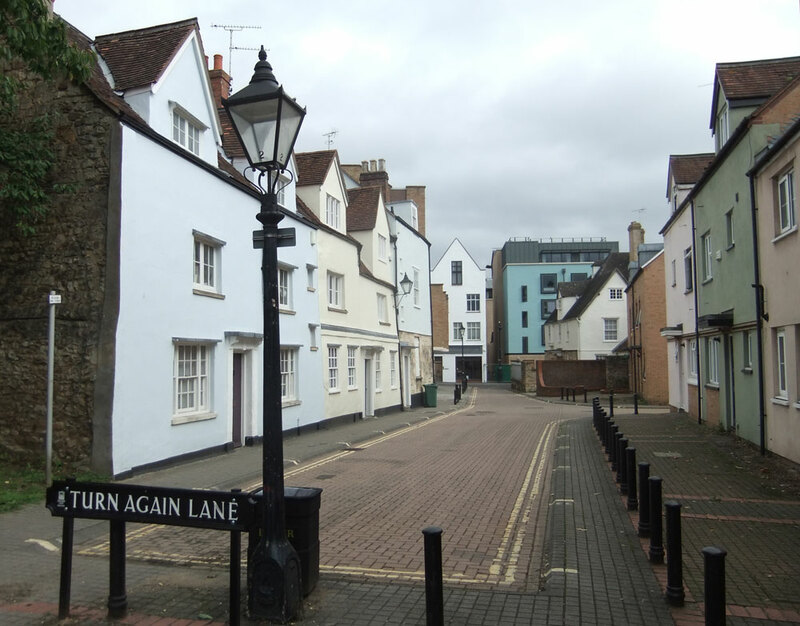 The old name for this lane was revived in 1972, after it had been known as Charles Street for many years. The three houses at 8, 9, & 10 Turn Again Lane that were saved from the city council’s demolition plans are on the left in the picture below. 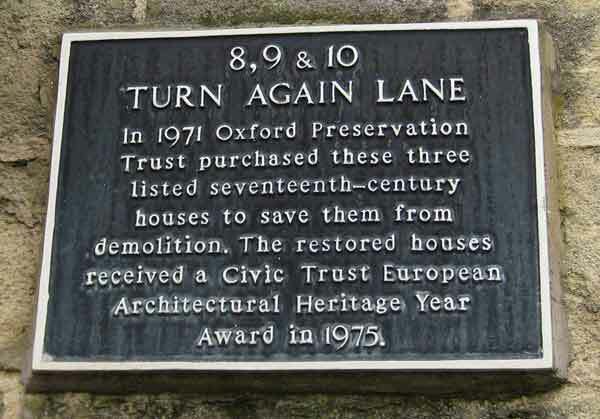 The office of the Oxford Preservation Trust is now at No. 10.